Hallmark is busy reminding us that we have only 4 more days to buy a card before Valentine’s Day and Russell Stover is hoping we’ll buy his chocolates. Before you rush out to buy a card, chocolates, flowers, or jewelry for your sweetie (did you know the average amount spent by an American for Valentine’s Day is $145! 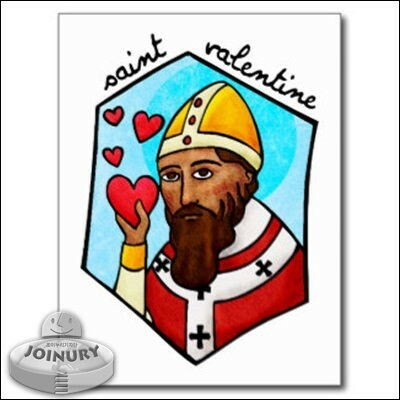 ), learn 6 surprising facts about St. Valentine. Then, impress your sweetie with your new-found knowledge…but buy him or her a little something, too. If you don’t, chances are the dog house could be a very cold, lonely place Sunday night!